Over the years the Panthers slightly hold the advantage over the Warriors in the head to head department, with a total of 34 games being played between the two sides, Penrith winning 18 and Warriors 15 with the solitary draw thrown in. Penriths winning percentage isn't quite as strong when they fly across the ditch but that shouldn't be an excuse to take this side lightly. 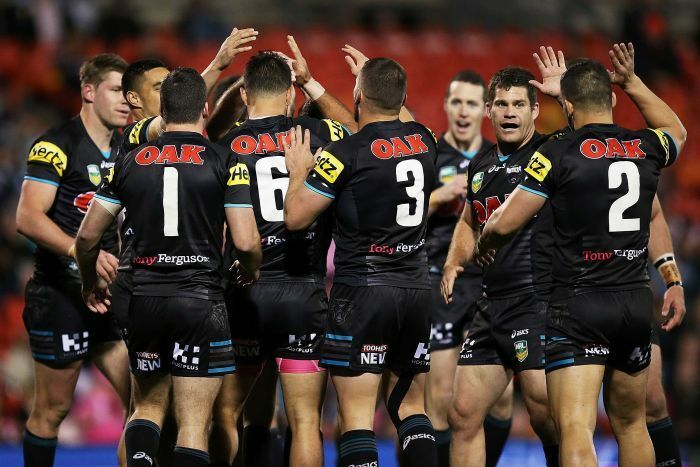 Over the last 2 years Penrith have managed to notch up 3 victories to the Kiwi outfits 1. These sides would be happy to forget the 2015 season, with both teams suffering a cruel injury toll that proved to be a mountain too steep to climb with Penrith not able to so much as leave the foot of the Blue Mountains while on the other side of the Tasman the cleaners were out in force and sweeping away anything that crossed their path. A player clean out at the Warriors was always on the cards with the arrival of their 2 major signings in 2016 but questions would have been asked and many a fans eyebrows raised when it seemed in certain instances the club were keeping players based on potential and a good season a few years back while showing the door to some of the hardest working and dedicated players in the competition. Fast forward to 2016 and some could argue that one side hasn't been able to be mentally strong enough to overcome last seasons failings. While the other side has shown a fight and determination to win, shown their mental strength in overcoming a part of the game that's not in their control and in doing so they haven't allowed a season ruined by injury to affect the way they approach and play the game this season. Penrith will head into today's fixture with a spring in their step combined with a self belief that they can match it with any side in the comp. Their results have shown exactly that, with their biggest loss coming in Round 1 by 8 points courtesy of the Raiders. As you delve deeper into their 2016 season results it shows just how easily they could be much higher on the ladder having lost 3 games by 2 points and 1 by 5. The argument to that is they could be going much worse, having won 2 games by 1 point and 1 game by 2 points. The NZ Warriors on the other hand offer us with a different prospect. The old saying "beware the wounded Beast" may ring true in more ways than one this afternoon. With an outside chance of Manu lining up on the wing as a late inclusion, it would be hard to imagine the man in any other sort of mood than Beast Mode if he takes his place on that left hand edge. 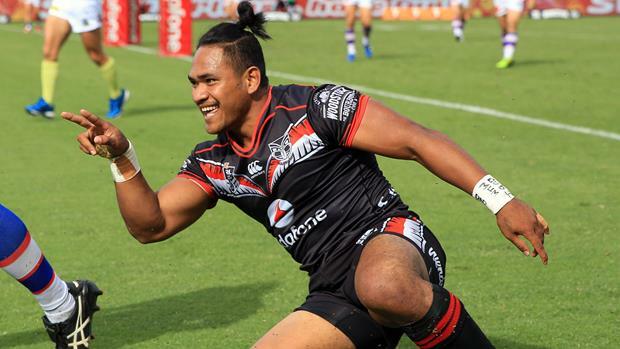 Add to that Matulino and Thompson who are also going to be itching to make amends for their indiscretions along with the return from injury in the form of Tommy Leuleuai and Tui Lolohea, the Warriors side suddenly seems a very formidable opponent. A sell out crowd in Christchurch is going to give the boys a massive boost on the field. I get the feeling that the events surrounding the club in recent weeks will be the turning point of the season and the catalyst to propel us deep into finals footy. 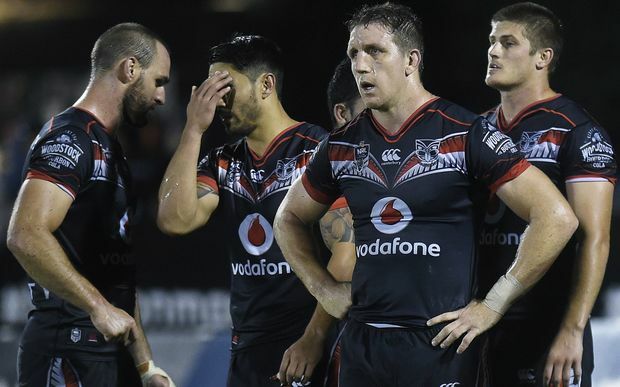 The Warriors will need to be wary with their emotions and be sure to keep them in check. Penrith are a side that know how to hang in and make you pay when you begin to let discipline and concentration slip, which is a trait that Cappy will be hoping has been left behind in Auckland. Solomone Kata could well be a very big piece to the jigsaw puzzle in this fixture and the standard of his performance today could well be the key to the Warriors coming away with the Win or going home empty handed. Bryce Cartwright plays out on Kata's edge in defence and it has been no secret that we've been exposed down that flank plenty of times already this season. The importance of shutting down Cartwright could not be more important in today's game. If you're fractionally off with your D this man will show you up and make you look like a schoolboy, but it Kata can keep him contained and get enough ball himself to start sending traffic back to Cartwright that will take us a long way to victory.